Riders can take part in teams, of up to 8 members, or race individually. Photo by Hendrik Steytler Photography. The 2018 Pretoria Boys High School 24 Hour MTB Challenge is now just over a week away. The all-day event is scheduled to start on Saturday the 10th of November, with proceedings wrapping up on Sunday the 11th. More importantly though, for those wishing to still take part, online entries close on Monday the 5th of November – at midday. 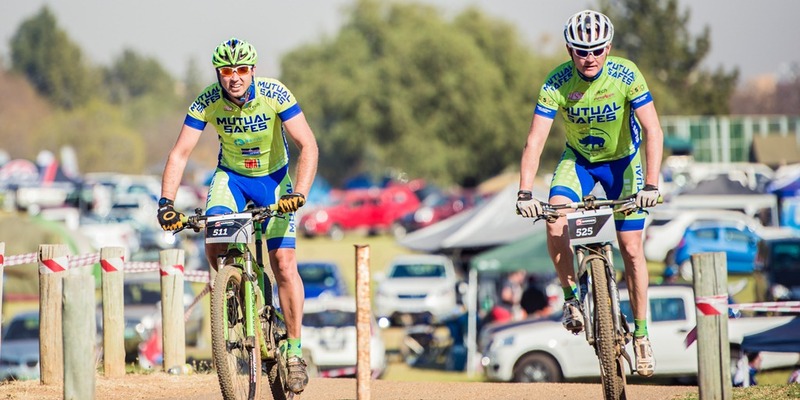 Making use of a 6 kilometre lap, riders in the Pretoria Boys High School 24 Hour MTB Challenge will attempt to complete as many loops of the circuit as possible. There are team and solo entry categories and a shortened 6 hour race complimenting the full 24 hour endurance event. Off the bike, there promises to be as much excitement as the mixed course of urban and natural trails is set to provide while riding. 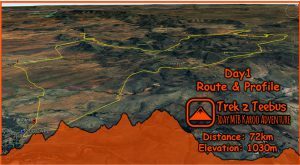 The Pretoria Boys High School 24 Hour MTB Challenge format requires riders to complete as many 6km laps as possible, either in teams or solo, in 24 or 6 hours. Photo by Hendrik Steytler Photography. Entertainment will be provided to ensure the vibe is electric throughout, with the school’s pipe band headlining the live acts which also include a boere-orkes and gumboot dancers. The chill zone will be broadcasting the Springbok’s clash with France on Saturday evening and the tented village will ensure everyone – riders and fans alike – can stay on-site. There will also be a communal braai area and Carel ‘Raasbekkie’ Bezuidenhout hosting the proceedings to ensure there is never a dull moment. 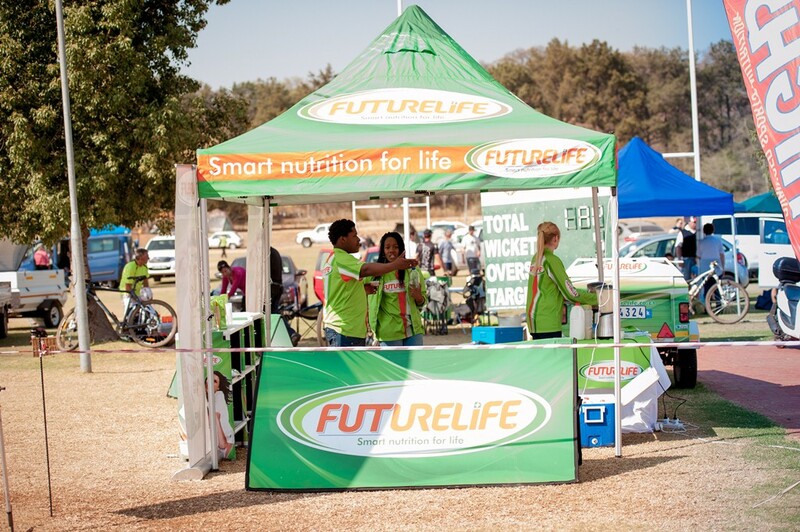 FUTURELIFE® will be hosting a breakfast zone to ensure riders start the event well nourished. Photo by Hendrik Steytler Photography. Pretoria Boys High has been a fixture within the community of Brooklyn, Pretoria, since it was founded in 1901 and is proud to be able to call on the assistance of many prominent local businesses to help make the 24 Hour MTB Challenge a success. Among the sponsors are Bruce Reyneke Cycles, who will be offering technical support to the riders; Chartwells, who will be providing catering services; FUTURELIFE®, the hosts of the Breakfast Zone; Pick n Pay, the feed zone sponsors; and aQuellé, who will be keeping everyone hydrated with their flavoured waters. Colin Hill Physiotherapy, meanwhile, is sponsoring free physiotherapy and Ingaadi Spa the free massages, in the recovery zone. A number of local businesses will also be supplying prizes to the podium finishers. These include Menlo Park Pharmacy, Heath & Wentzel Optometrists and BMW Club Motors. 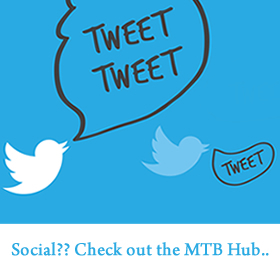 Additional prize sponsors will be announced on the PBHS MTB Challenge Facebook page, so be sure to like it to stay up-to-date on all the news from the race. On the bike meanwhile, which is after-all the most important element of the event, the race features a 6 kilometre course – entirely contained within the Pretoria Boys High grounds. This ensures it is safe for the participants to ride throughout the night. It features about 100 metres of climbing per lap and a mix of natural and man-made technical challenges to add difficulty for the riders willing to brave the A-lines. For the less skilful riders there are B-lines around all the technical features, though the less-technical routes are longer, in order to reward the riders willing to take the more difficult lines. The entry options for the Pretoria Boys High School 24 Hour MTB Challenge include solo, 2, 4, 6 and 8 rider entries to the full 24 Hour Challenge. The shorter 6 hour event offers individual entries, or the option to ride in teams of 2, 4, 6 or 8. Both the 24hr and 2hr races boast a school’s category; in which 4 riders represent their school against rival institutions of learning. The 24 hour racing action kicks off at 10:00am on Saturday 10 November, with the 6 hour event beginning 4 hours later at 14:00. Prize giving will take place at 11:00am on Sunday morning. To enter online, click here, before midday on Monday 5 November. For more information click www.pbhs24hrmtb.co.za . Non-riders are welcome to camp and support their riding friends and family members at the Pretoria Boys High School 24 Hour MTB Challenge, though a R100 camping fee will apply to all non-riders. Photo by Hendrik Steytler Photography.